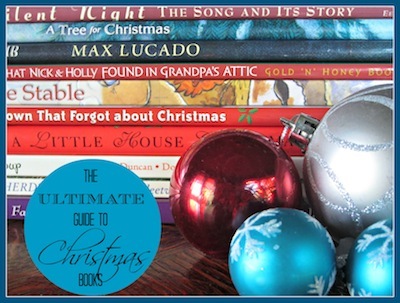 The Ultimate Guide to Christmas Books! OH! Christmas Books!Our collection is one of the best things I've ever invested in. In honor of Christmas and reading and wonderful afternoons spent cuddled on the couch under a blanket, I give you The Ultimate Guide to Christmas Books! Amy of Milk and Cookies wraps their entire Christmas book collection and her son gets to open a new one each night before bed in December. Her meaty list of book suggestions may be just what you need to get your own collection started! "I liked the surprise element of wrapping books, but I don’t like to wrap. I also have a hard time doing a specific activity for 25 days straight. Some days we like to read through 3 books, and other days none at all. I also wanted to incorporate iPad book reading and listening into our Christmas book tradition. That’s hard to wrap under a tree." So she made a fabulous "Book Book". You really need to see how creative and great this is! Love nature study and the wonder of a winter outdoors? 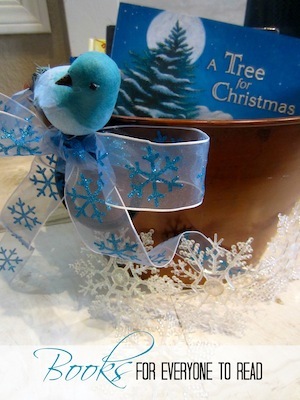 Cindy of Nature Explorers has a lovely list of nature-inspired Christmas books. I've already reserved several of these at our library! 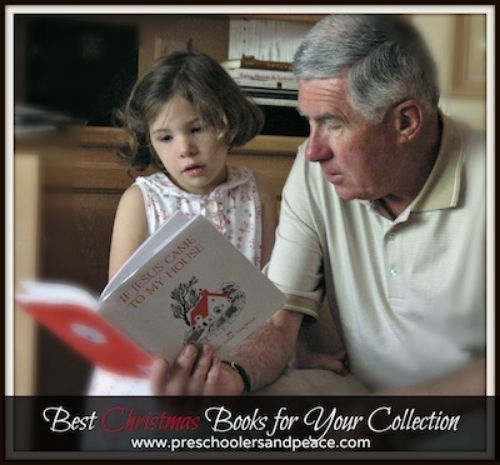 Cindy continues to share with us about a beautiful Christmas book her family loves, Silver Packages.She also links to a great unit study on the book's Appalachian theme that you can download for free from Homeschool Share. So many of us love the Arnold Ytreeide series that begins with Jotham's Journey. Cindy concludes her Christmas book posts with a review of this wonderful advent tale that ends with the whole reason for the season. Ticiafrom Adventures in Mommydom takes an international approachto Christmas books in this post, which is a fun and educational bent that could turn into a great unit study during the season. Several of the titles in Ticia's What We've Been Reading This Week post are Christmas books, and there are some well-loved by us as well. I've got my eye on Mortimer's Christmas Manger. She has even more titles here! Maryfrom Homegrown Learners gives us a wonderful post about how her family made a unit study out of A Christmas Carol.I don't know about your kids, but my elementary students love the Magic Treehouse Books. Amber of Classic Housewife tells us about her family's favorite Christmas book, and it just might surprise you! I hadn't heard of The Christmas Lizard, but I went right over to my library's website and reserved it. Looks like a good one! Wanting more hands-on reading experiences for your kiddos this Christmas? Becky of This Reading Mama has several ideas you can do to go along with some really great Christmas books such as Christmas Angels, The Crippled Lamb, and 'Twas the Night Before Jesus. Her Part Two post is here. I can't wrap up our Ultimate Guide without pointing you to our Best Christmas Books for Your Collection post. There are over 60 titles on our list, all of which we savor and remember and pour over each year when they are brought out of their boxes and stored in the big basket by the fireplace. I hope your collection grows book by book, and that you get as much pleasure out of reading Christmas books as we do.